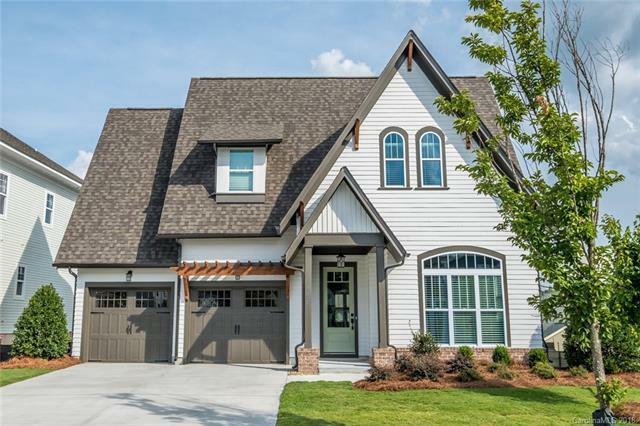 This Craftsman style home offers a master bedroom and a guest suite on the main level with two bedrooms, one bathroom and a second living space upstairs. Located on Candelish Park with beautiful views of the pocket park from your front door. An open floor plan perfect for entertaining. This floor plan includes 10' ceilings and 8' interior doors on the first floor. You won't want to miss the fit and finishes included in this home, 5" plank hardwood floors and raised slab foundation. Amenities: clubhouse, fitness room, playground, pools, river trail and kayak and canoe launch.